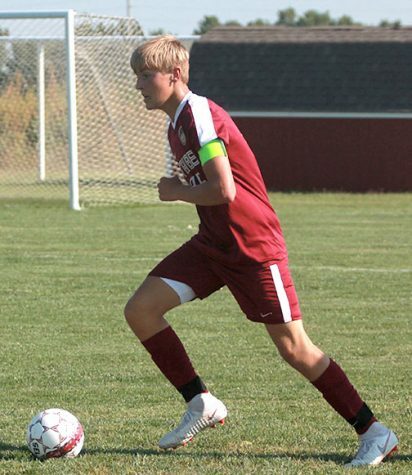 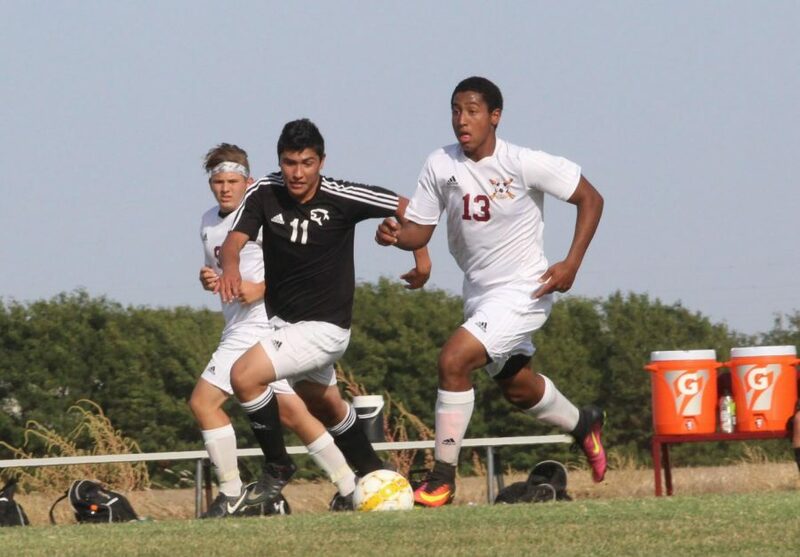 Junior Trey McCrae dribbles up field at the Great Bend defense in a recent home match up. 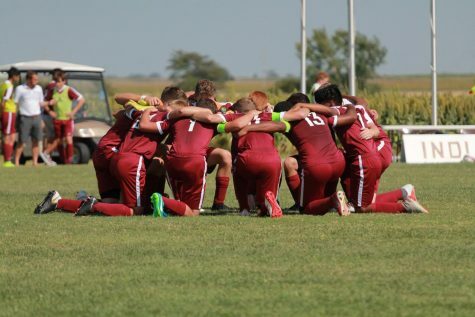 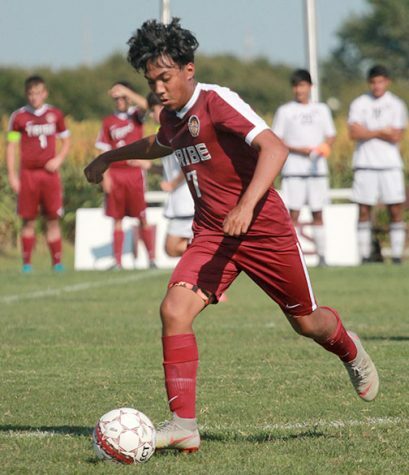 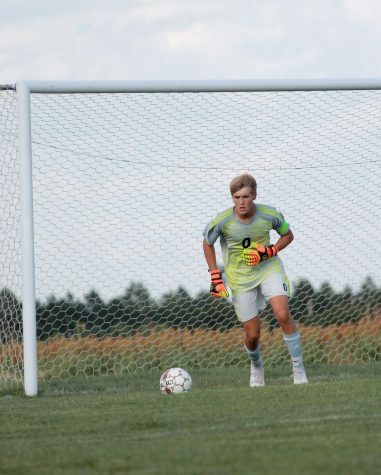 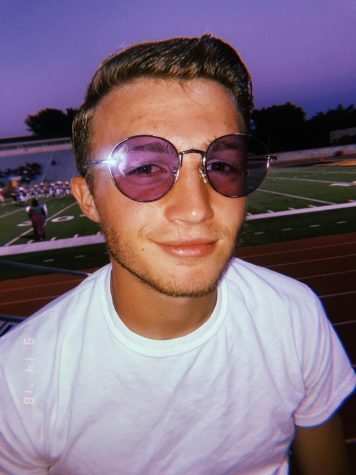 The boys soccer team battled hard against the Bishop Carroll Golden Eagles, but the Golden Eagles came out on top in a 1-0 victory over the Indians. 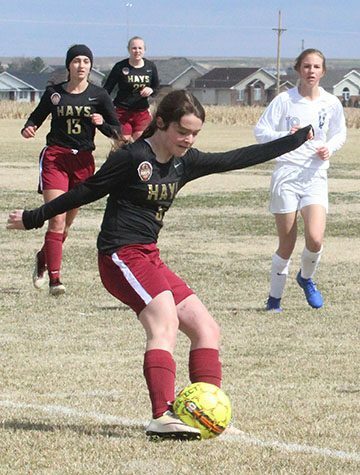 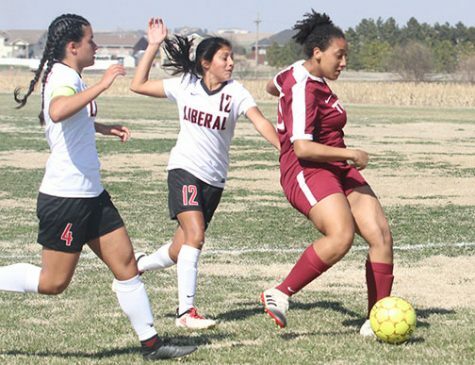 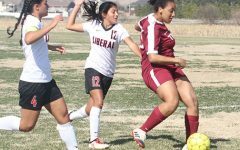 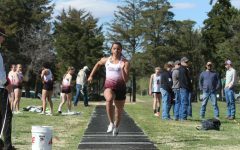 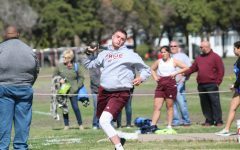 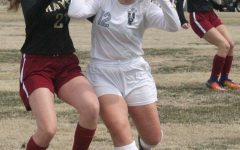 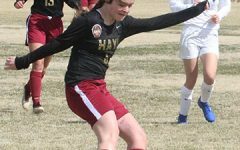 The Indians and the Golden Eagles played a physical game which led to a scoreless first half but not without both teams having their opportunities to score. 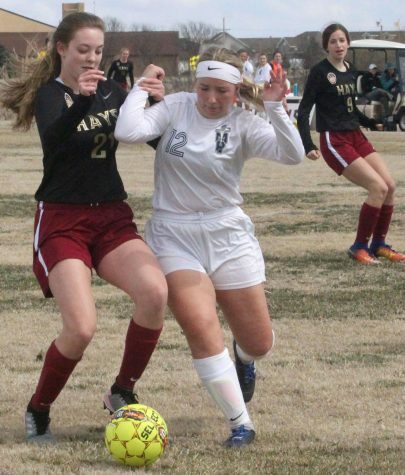 In the second half, the Indians had more chances to score but couldn’t find the back of the net. 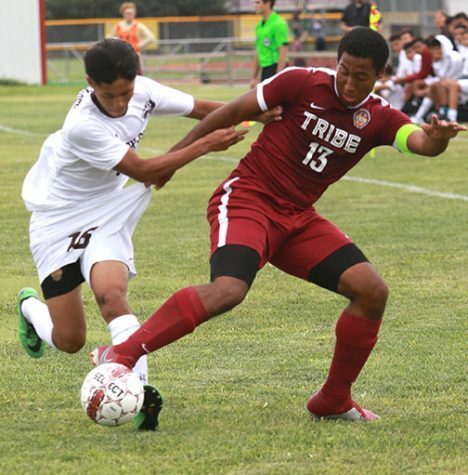 The Golden Eagles finally broke the scoreless game by netting a goal in the 59th minute. 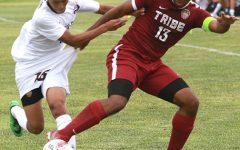 The Indians would continue to have chances throughout the half but could never capitalize. 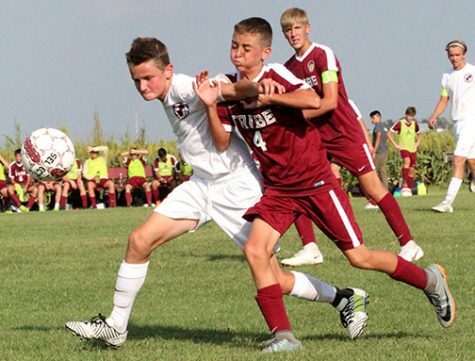 The loss to Bishop Carroll dropped the Indians to a 9-6 record on the season. 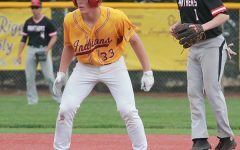 The Indians next matchup will be against their cross-town rivals, Thomas More Prep Marian in the Indians final regular season game. 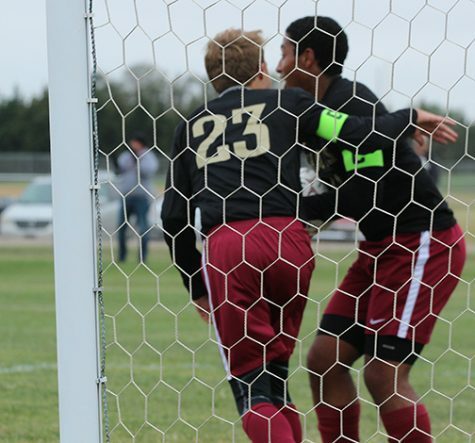 The match will be played at 4 p.m. on Oct. 19 at Bickle-Schmidt Sports Complex.